If you’re looking for a solution to making your nutrition products packaging to look as professional and unique as the product itself then make sure to try out Business Image Printing custom printed nutrition boxes. Either the nutrition bar, nutrition food or nutrition medication; Obviously if you’re looking to make your product go big in markets so to speak then it’s essential that your product’s packaging can reflect the creative direction you are going for, whether your product is aimed at looking fun and vibrant or simple and to the point of purchase – POP display, we’ve got you covered. At Business Image Printing you can print out virtually any design you can imagine, all you have to do is give us a few specifications of your product itself alongside and personal ideas and we can help incorporate your input into the final end product complete with high-quality custom packaging material and any of your own designs. 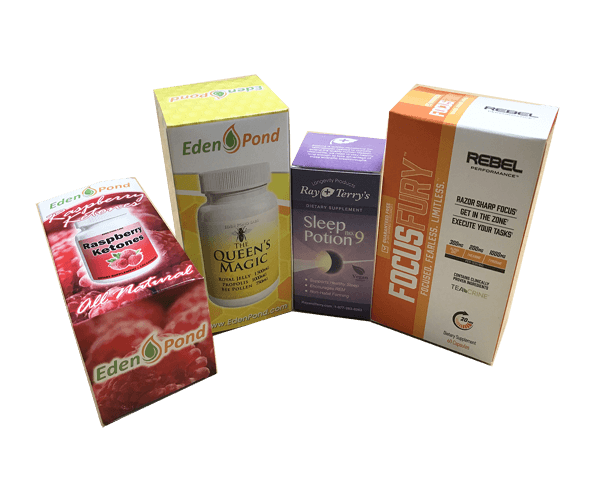 We also offer many different services for your use such as free plain box samples for you to view the box itself or our free mock-up samples so you can confirm for yourself the quality of your product’s custom packaging. So we urge you to use these services to your advantage in making the perfect custom packaging for your nutrition product. For professional-grade custom packaging all at cost-friendly prices and fast turnarounds, contact Business Image Printing. For more information regarding any special additional features such as spot UV coating, hot stamp foiling, or embossing, feel free to contact us for more details.